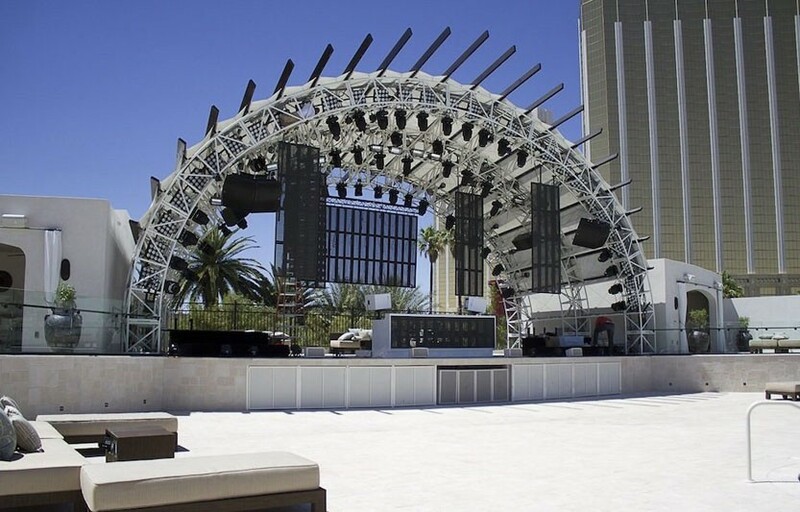 DAYLIGHT Beach Club is a revolutionary daylife destination at Mandalay Bay Resort and Casino in Las Vegas. 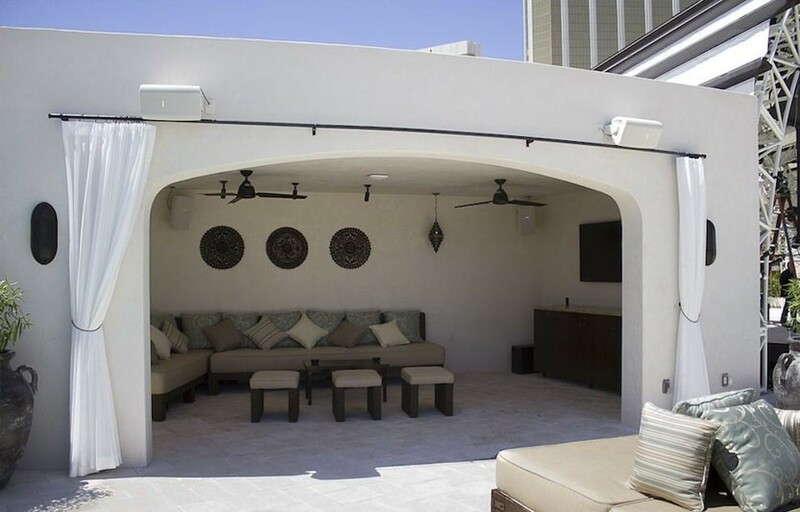 Conveniently located right off the strip where patrons don’t need to walk through a hotel casino to enter, DAYLIGHT is considered to be one of the biggest pool parties on the Strip. 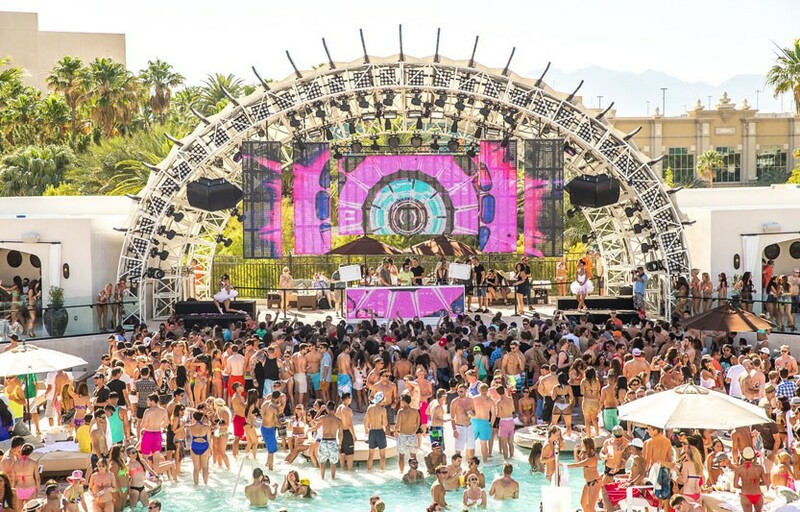 Daylight Beach Club (DBC) made it’s debut Summer 2013 at the Mandalay Bay Resort and Casino, and since then has gone on to become one of the hottest day parties in Las Vegas. Daylight features 70 daybeds, 25 cabanas, 6 LED screens, a 5,000 sq. foot pool, and some of the top DJs in the business, including Bassjackers, DJ Five, Morgan Page, Duke Dumont, Metro Boomin, Ludacris, and more. Daylight is open during the summer vegas pool season, which usually starts late March/early April and runs til Labor Day. Daylight Beach Club has a long island iced team in a plastic cup which is pretty good value – and you can bring it into the pool! DBC is introducing a new concept for it’s Sunday parties – Sundown – which runs from 1 – 11 PM. Inspired by Ibiza sunset parties, Sundown will pair deep house DJs with the vibrant natural Las Vegas sunsets. Daylight is located towards the back of the Mandalay Bay hotel and casino. It’s closest to the “The Hotel” tower but there’s no entrance from inside the hotel – you have to go outside to get in. How much is cover charge / general admission at Daylight? General admission generally starts at $20 for girls, $30 for guys. Expect to pay more for holiday weekends or top DJs. How long will I have to wait at Daylight? Plan to wait anywhere from 30 min to 1.5 hours. If you’re trying to avoid waits we would recommend coming at 11 AM when the beach club opens, or later in the afternoon (2-3 PM). Daylight is open from 11 AM – 6 PM Thursday through Sunday. What are the best days to go to Daylight? Fridays and Saturdays are pretty standard. What is the dress code at Daylight? Upscale stylish swim attire. No sports attire/athletic wear, torn or cut-off clothing, offensive prints, see-through clothing, chains, baggy clothing, hard soled shoes boots. Make sure you bring sunblock – buying sunblock there is not cheap. You can also rent a locker for $50. How much do drinks cost at Daylight? Mixed drinks / cocktails Start at $15, Beers $10, Shots $10, and Bottles start at $475. Daylight’s 2019 resident DJs include Bassjackers, DJ Five, Morgan Page, Duke Dumont, Metro Boomin, Ludacris, and more. Where can I find an list of upcoming events / DJs at Daylight? You can download the Discotech app to see upcoming events, get on guestlists, book tables, and buy tickets for Daylight. You can also visit Daylight’s website for a list of events. What kind of music do they play at Daylight Beach Club? Daylight is almost exclusively electronic dance music. When does Daylight Beach Club open for the summer? When does Daylight close for the summer? Daylight’s 2019 summer season usually starts sometime in March and ends in late October / early November. Exact dates vary year to year. We’ll post the events to our app as soon as they become available – check our app for updates! In which hotel is Daylight located? Daylight is located in the Mandalay Bay. Looking for VIP offers and comps at Mandalay Bay? Check out URComped.com to find a Casino Host at Mandalay Bay.